Want stronger U-joints that are still suitable for use without manual hubs? 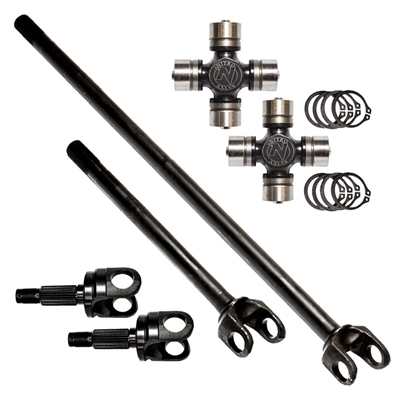 Nitro Excalibur Heavy Duty Chromoly U-Joints For Jeep Wrangler JK & JL are now available. Similar heavy duty chromoly solid body design to our other competition/off-road Excalibur line of Universal Joints, but better suited for dual-sport use, as they feature needle bearings for longer wear resistance. Considerable stronger than the OEM Universal Joints, but wear longer than non-bearing type offroad-only joints.